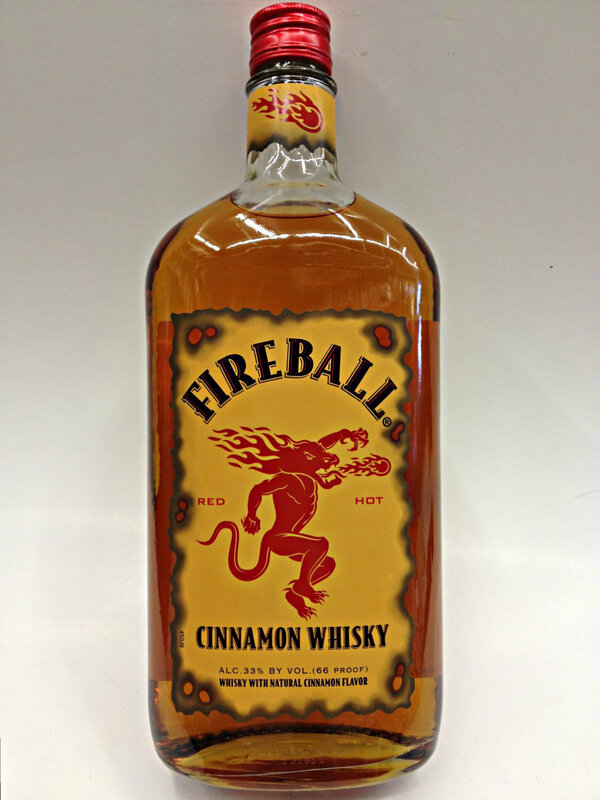 Fireball Cinnamon Whiskey is a cinnamon-flavored whiskey liqueur. Not whiskey, a whiskey-based liqueur. It only 33% alcohol by volume. It’s kind of trendy right now. It’s one of the top ten most popular liquors, up there with Jäegarmeister, Jameson, and Patrón. You’ll find it at most bars and it’s a staple of house parties everywhere. I first discovered it about two years ago. I’m totally over it now. The hipsters can have it. The thing about Fireball is that it acts as its own chaser. You take a swig and swallow and the cinnamon burns your throat and hides the taste of alcohol. Most people take it as a shot or on the rocks, but you can use it as an ingredient to make a variety of cocktails. Nasty cinnamon-flavored cocktails, but cocktails nonetheless.